bdNameplate are a lightweight replacement to the default nameplates. It adds a couple of great features to the new nameplates introduced in legion. But mostly it makes them not look like crap. Finding a way to let nameplates be clickable on mouse down instead of up. How to fix it please ? Some ppl dont have this issue, and others yes. Update one day or ? Healthbars don't update until you target the enemy for the first time. Been like this for a few weeks now. Do you solve it ? With the latest version (2.43) healthbars no longer reflect enemy hp - the healthbar stays filled, even if the target is not at 100% hp. The only way to tell how much health they have left is through the healthbar text, making it very difficult to see just how much health they have left. First, let me tell you how much I like this addon! It is simple and elegant! Thank You for making it! 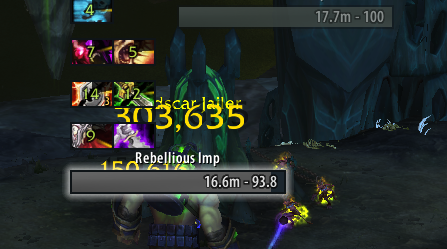 ...there is only 1, slight problem, I feel like the nameplates are way too close to the mobs, I mean vertically. I'd like to move the name plates a bit higher, above the mob, because I feel like it's blocking my view of the mob a bit. Is it possible? Also, I tried the "Vertical Spacing" option, but it did not work. I just want to re-position the nameplate a bit higher, that's all. we will get any update soon? nameplates are fucked up after latest patch. please. 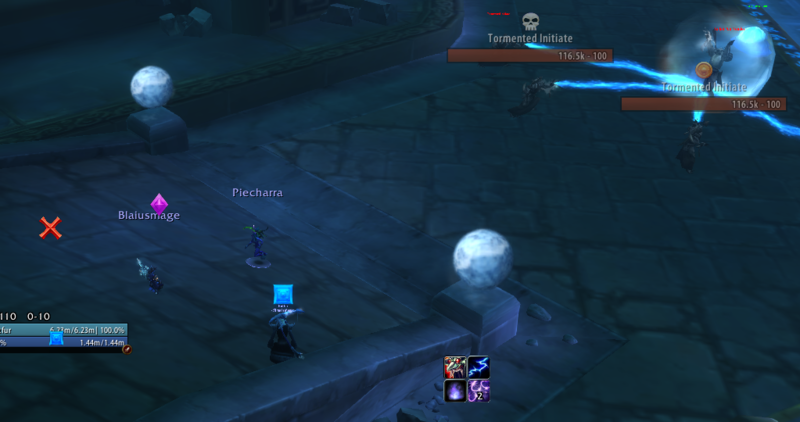 Is it possible to have only bdnameplates enabled for friendly targets only but use different nameplates (elvui) for enemy targets? Can we set raid marker icon on friendlies on top, not on the left? causes all sorts of errors for all addons (If you have friendly nameplates enabled) saying something along the lines of "something has been tainted by an addon", could you set it to 0 as default so people don't have to change it manually after an update? There's a fix out for today's errors, but curse has had it "Under Review" for 2 hours, and that normally only takes 2 minutes. How do i add debuff timer/countdowns on enemy nameplates? Currently it's just showing the icon and the gradual darkening of the icon as it runs out, but i would like for it to display a number countdown. EDIT: After much trouble I found out that you can enable the countdown by ticking the "Show numbers for Cooldowns" checkbox in interface > ActionBars, however this causes issues with weakauras, causing them to display 2 cooldown counts. Would it be possible to have an option in the bd addon to enable this without blizzards intervention? EDIT2: Managed to get it to work using OmniCC while preventing OmniCC and weakauras from interacting. How about adding option for Guild Tag and NPC info like "Flower Vender" on friendly targets?